I was playing around with the background and ended up making the purple resemble a wolf’s head. I liked the effect so I ended up leaving it in. What do you think? As an added treat and quite fitting to accompany this piece, I thought I’d also share the following video with you. I do really like this..the face of the raven is very distinct…very nice…and the back ground of the wolf…very nice.. I Love this it is amazing….the purple back ground is cool! And yeah, this is another good one. I like the eyes. LOL…see Manda! haha….I didn’t think I was Gothic at all…. lol I never said you were gothic??? What are you talking about? 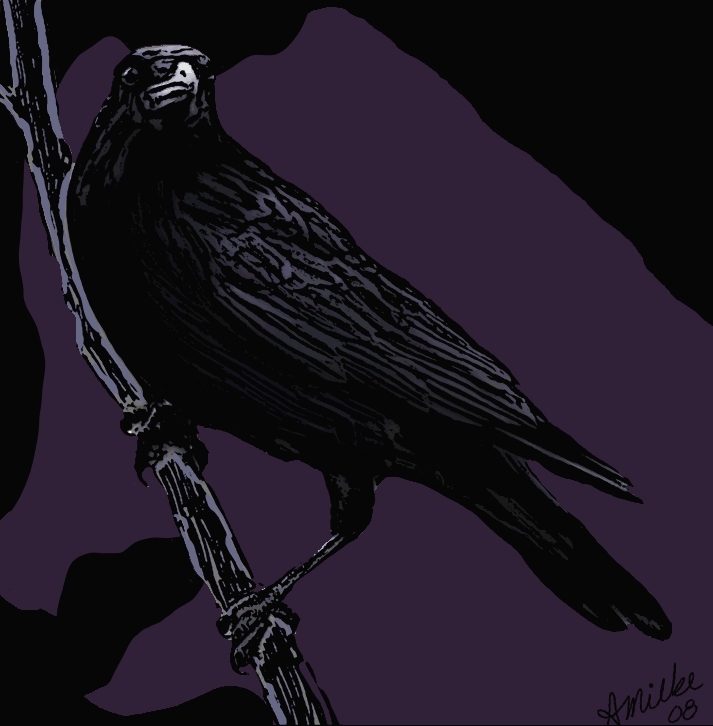 I like the Raven too. The picture is very gothic!